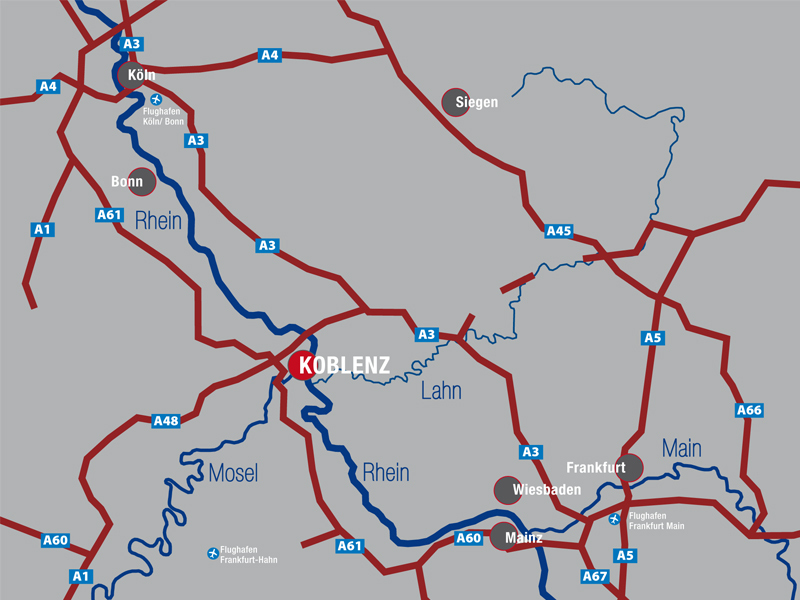 Koblenz is conveniently located in the heart of Europe. Koblenz is very easily accessible from all four corners of the country. Whether it’s by car, train, bus or airplane. There are various parking options available for embarking or disembarking in the city centre for groups coming to Koblenz by coach. Information on arriving by coach, as well as coach parking options, can be found in our “Koblenz for groups” flyer. In Koblenz you have over 10,000 downtown close parking spaces available. Where parking spaces are still free in the Koblenz city center, you can always check out on the Internet.